Russian Foreign Minister claims that an international investigation into the crash of a Malaysian passenger plane in eastern Ukraine is riddled with numerous violations of the norms established by ICAO. 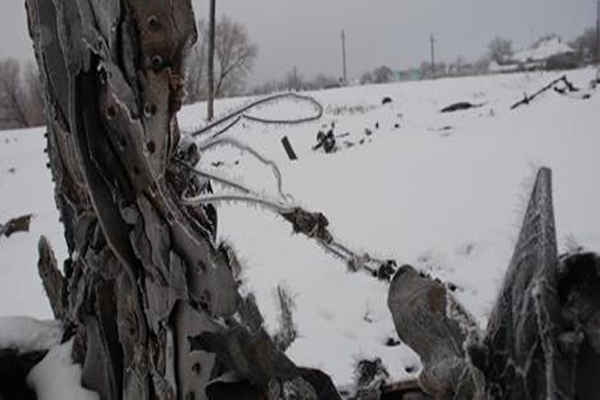 MOSCOW, December 25 (Sputnik) — An international investigation into the crash of a Malaysian passenger plane in eastern Ukraine is riddled with numerous violations of the norms established by the International Civil Aviation Organization (ICAO), Russian Foreign Minister Sergei Lavrov said. “All ICAO norms are being violated as the Ukrainian security services are directly involved in the ongoing investigation,” Lavrov said in an interview with Russia’s Kommersant newspaper published on Thursday. “The country where the tragedy took place could be involved [in the probe], but it cannot run the show as it happens now,” the minister said, adding that it was dishonest to use a tragedy to achieve one’s geopolitical goals. The investigation into the July 17 crash of Malaysia Airline’s Flight MH17 in Ukraine’s eastern Donetsk region is led by the Dutch Safety Board (DSB) as roughly two-thirds of 298 people killed on board the flight from Amsterdam to Kuala Lumpur were Dutch. Ukraine’s Security Service said last week that the probe would continue throughout next year since it was “complicated and time-consuming”. The Security Service also said that Dutch investigators were to release a progress report by the end of 2014. The DSB’s preliminary report published in September claimed that the Malaysian airliner was penetrated by “a large number of high-energy objects” causing it to break up in mid-air. Ukrainian officials and the Pentagon were quick to blame militias in the country’s Donetsk region for the plane’s alleged downing, a claim denied by Donetsk independence supporters who said they lacked firepower to strike down a high-flying jet. Russia has earlier voiced dissatisfaction with the manner in which the DSB probe was conducted, claiming the team of Dutch experts working on the scene had refused to investigate some of the wreckage, including fragments that allegedly bore signs of shrapnel. Russia’s Human Rights Ombudsman Konstantin Dolgov lashed out at the Netherlands in early December, saying its investigation into the plane crash ran counter to the United Nations’ July resolution, adopted in the wake of the crash. The document called for a full, thorough and independent international investigation into the incident, but, according to Dolgov, the Dutch had deliberately slowed it down. Holland is one of only a few European countries who are involved in the offensive against ISIS. One wonders why ?? can it be that it has become one of the US poodles like the British / Australians and Canadians . there must one day be a reckoning for these spineless stooges and I do not think it is far off ! !